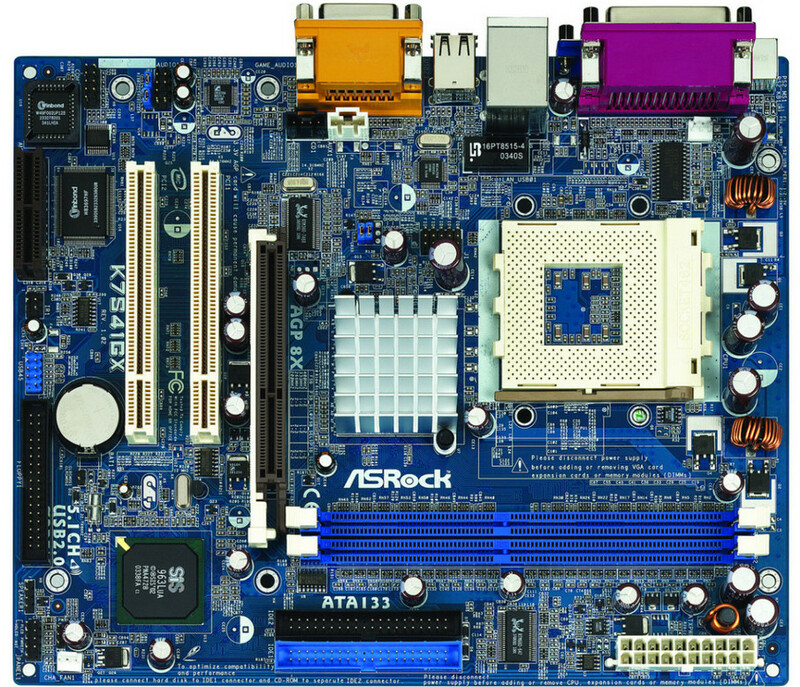 * Socket A(462) for AMD processor * SiS 741GX Chipset * ASRock U-COP * Hybrid Booster - a safe overclocking feature * FSB 333/266/200, DDR 333/266 * Integrated Mirage Graphics. Max. 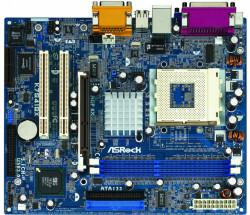 64MB * 1 slot for AGP 8X/4X 1.5V * ASROCK I/O - 4 ports default on rear panel + 2 ports upgrade via header. * ATA 133 supported * On board default 10/100 LAN and 5.1-Ch Audio. * Multi-languages Quick Installation Guide. * Bundle CD includes Anti Virus Software, ASRock PC DIY Live Demo, Audio Player, etc.